The exhibition is co-produced by Tallinn Art Hall and Kim? Contemporary Art Center. Evita Vasiljeva’s work first strikes us with its weight – cast concrete forms with various lengths of steel armature juttingout of it are a testimony to hard physical labour. This physicality of the work effortlessly connects her practice with the long tradition of sculpture. It is unclear whether the objects are still coming to be or already in a state of decay, which leaves us hovering somewhere between different times. 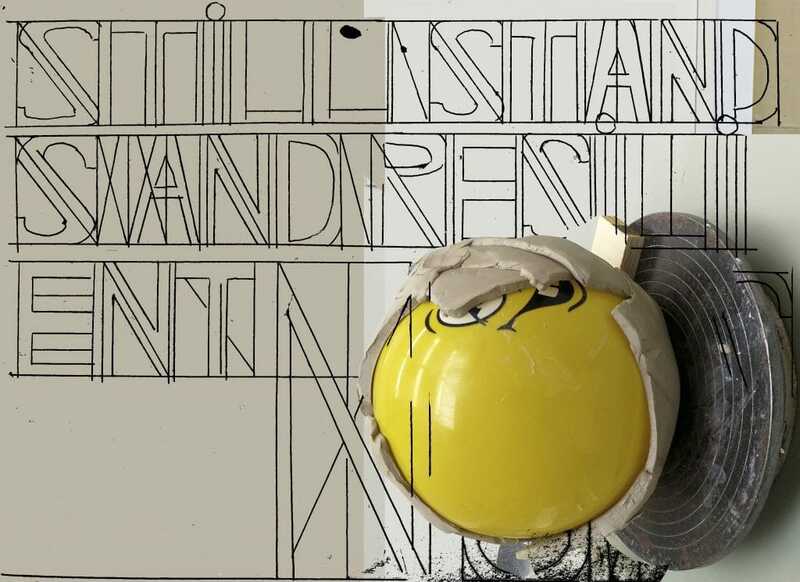 “Still Stands and Resilient Nows” will also feature new ceramic work created during Vasiljeva’s residence at the European Ceramic Work Center (EKWC) in The Netherlands. ““Still Stands” are intricate and abstract mental constructions. The clay is cracked by steel rods, which penetrate and characterize the structures. The great heat of the making is laid open to view. “Still Stands” are the emblems of timeless duality. The intangible is intertwined with the sculpture,” Vasiljeva describes the works that lend her exhibition part of its title. Evita Vasiljeva (b. 1985) is a Latvian born artist based in The Netherlands. Shegraduated from the Fine Arts programme at the Amsterdam Gerrit Rietveld Academie in 2013 and worked at the artist residency De Ateliers in Amsterdam from 2014 to 2016. Her latest soloexhibitions include: Manhours in Headquarters, P/////AKT, Amsterdam (2017), Nothing Lost, Nothing Found, Gallery 427, Riga (2016) and Gut House of the Print Level, Kim? Contemporary Arts Centre, Riga (2016). In 2018,Vasļjeva was in residence at HIAP, Helsinki and at the Sundaymorning@ekwc residency-workplace in The Netherlands. In autumn 2018 she will also exhibit in the Showcase Gallery at EKKM. We would like to thank: Estonian Cultural Endowment, Estonian Ministry of Culture, Tallinn Department of Culture, Veinisõber, Sadolin, Latvian State Culture Capital Foundation Latvia, Stichting Niemeijer Fonds, Sundaymorning@EKWC, Mondriaan Fund, Giuliano Faustini, Jānis Kārkliņš, HIAP, Sarah Boulton, Corinna Helenelund, Arita Varzinska.